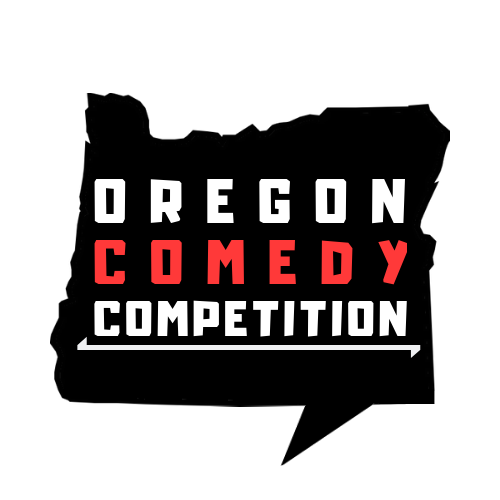 The Oregon Comedy Competition is a series of four comedy shows that take place in three different cities across the state of Oregon. What’s special about the OCC? Well, at the conclusion of each show, the audience votes for who they think was the evening’s best comic and they ultimately decide who is crowned the 2019 Oregon Comedy Competition Champion! And the best part? The winner gets $500 cash a and future headliner or feature booking at a PNW Comedy event! Any level of comedian FROM ANYWHERE may submit to compete– From the novice that has only done a few open mics all the way up to the headliner that has been on stage for years and years. (The show isn’t designed for traveling features/headliners, but we’ll gladly consider them if they’re interested in participating). The comics chosen to participate will be notified no later than June 23rd, 2019. Comedians wanting to compete must be able to get to the venue the night they are scheduled to perform. (Either Aug 2nd in Forest Grove, OR, Aug 17th in Bend, OR or Sept 7th in McMinnville, OR and if you make it to The Finals, Sept 27th, 2019. No exceptions.) If you are selected to move on to the next round but cannot attend the next show date, you will be disqualified. Each round will end the show with a vote to determine who had the evening’s best performance. One ballot will be given to each audience member, comic, and staff member that watched the comics perform. At the conclusion of the voting, the ballots will be tallied up and the results announced live onstage directly after the show! Summary: There will be four total shows that are separated into two different rounds- the First Round/Round One and The Finals. The first three shows will be included in Round One and have three separate heats on different nights in different cities (Forest Grove, McMinnville, & Bend, OR). The 2-3 comics that receive the most votes from each First Round heat will move on to The Finals and compete for a $500 cash prize on a third and final show! The Finals: The 8-9 comics that advanced from the First Round/Round One heats will do 10-12 minutes each in the final round. (These performance times may change due to the number of comics in The Finals.) After the show, the audience votes for the comic they think did best and the comedian that receives the most votes wins the $500 cash prize! With second place getting $100. – Must be at least 21 years old to compete. – All potential competitor musts have done at least one comedy open mic. – Previous participants of other PNW Comedy competitions may compete. – All material must be written by the comic performing it. – Absolutely no hate speech. – Be respectful to the comedians, audience members, volunteers, and staff. – A vote by the audience will take place at the end of every show to determine the advancing competitors/winner. – If a comic moves to the next round but is unable to make the next show, the next highest vote-getting comic in that round/heat will then take the that comic’s spot. 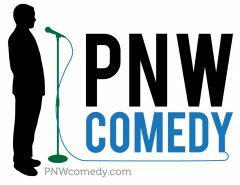 – Previous winners, booked headliners, and current PNW Comedy volunteers may not participate at competitors in the competition. – There are two ways of being selected to participate: One- producers select the competitors by comics submitting requested materials, and Two- by the producers reaching out to comics directly. –Comedians wanting to compete must be able to get to the venue the night they are scheduled to perform. – The producers have the ultimate authority to determine if something is grounds for disqualification, to select a comic to move on in another comic’s place, to determine if a member(s) of the audience are cheating the balloting system, and to determine what happens in the event of any ties. – Not following any of the rules listed above, or stated before, during or after a comedy show, may be grounds for immediate disqualification. – The earlier you send in your materials, the better- Some comics may be accepted to participate in the comp for scheduling and other purposes before the submission end date of May 20th. – Individual event showtimes, round performance times, and rules are subject to change without notice. You’ve Got Questions, We Have Answers! Q: Does it cost to submit to the Oregon Comedy Competition? A: Not at all! The competition is sponsored by PNW Comedy. They are covering all production and entertainment costs involving the competition. Q: Will I be paid for my time? A: Yes you will! Whether you’re in the first round or the finals, you’ll be compensated for your time! Q: What is the compensation? A: Straight to the point- each First Round comic will get a comped ticket to the show they are scheduled to perform on (for a friend/loved one), a food/drink comp, and a small cash payment (very small). Q: What’s the point of doing this start-up, no-name competition? A: Well, if you make it to The Finals and are voted the night’s best comic by the audience, you’ll receive $500 the night of the finals and you’ll be booked again as a headliner or feature at one of PNW Comedy regular show. You’ll also be invited back for the next year’s OCC to participate as the Host, MC or Feature. Q: Are musical comedy acts eligible to participate? A: Yes! If you consider yourself more of a comedy/stand-up act than a musical act, then you’re more than encouraged to submit the requested materials to the competition. Q: I competed in another PNW Comedy competition last year. Any chance I could compete again? A: Yes! All previous participants are eligible (and encouraged!) to compete again. The only people that cannot compete are previous winners, currently booked headliners and PNW Comedy staff/volunteers. If you have any more questions, comments or concerns, please feel free to email us at OCC@pnwcomedy.com.